Patients with active rheumatoid arthritis (RA) present low levels of lipids – total cholesterol (TC), low density lipoprotein-cholesterol (LDL-c), high density lipoprotein-cholesterol (HDL-c) and triglycerides (TG) – and yet are at a higher risk of cardiovascular disease. RA therapies may modulate lipid levels, presumably because of their anti-inflammatory effects, but some treatments preferentially increase LDL-c, thereby worsening the atherogenic index. We previously reported that 4-week treatment with the JAK1 selective inhibitor filgotinib (GLPG0634), showed a different profile with little effect on LDL-c and a dose-dependent increase in HDL-c. The current study further characterizes the lipid profile of RA patients after filgotinib treatment. RA patients (n=91) with insufficient response to MTX were randomized to receive placebo or 30, 75, 150 or 300 mg filgotinib once-daily orally for 4 weeks as add-on to MTX in a double-blind phase 2a study. Blood was sampled pre-dose and on the last day of treatment. Plasma PCSK9, ApoC-II, ApoC-III, SAA, and CETP concentrations were measured using ELISA kits. Plasma CETP and LCAT activities were determined using a commercial assay from Roar Biomedical. Plasma cholesterol (total and non-HDL-cholesterol), HDL-c, TG, ApoA-I and ApoB were measured using assays available from Diasys. CETP expression in white blood cells (WBC) was measured using qPCR. HDL-c increased after treatment with 75, 150 and 300 mg of filgotinib, whereas TC and non-HDL-c increased in plasma only with 300mg dose, compared to baseline. TC/HDL-c ratio (atherogenic index) decreased after 4 weeks of filgotinib treatment . Plasma concentrations of ApoA-I, ApoB, ApoC-II and ApoC-III also indicated a preferential increase in HDL-c over LDL-c, with an increase in ApoA-I, ApoC-II and ApoC-III and no change in ApoB concentrations, resulting in a decrease in ApoB/ApoA-I ratio. CETP gene expression in circulating WBC as well as protein concentration and enzyme activity in plasma decreased after treatment. LCAT activity and paraoxonase-1 (PON-1) levels increased with filgotinib treatment. There was no change in plasma concentration of PCSK9. These early data show that 4 weeks of treatment with filgotinib changed the lipid profile in RA patients, with a preferential increase in HDL-c. As a consequence, the atherogenic index in RA patients improved with doses of 150 and 300 mg once daily. This correlated with changes in HDL-c proteins and enzymes involved in HDL-c homeostasis such as ApoA-1, PON-1, LCAT and CETP, but not in those linked to LDL-c (ApoB, PCSK9). Further longer-term studies are needed to confirm these findings and their cardiovascular relevance. Disclosure: R. Galien, Galapagos SASU, 3,AbbVie, 2; P. Harrison, Galapagos NV, 3,AbbVie, 2; R. Brys, Galapagos NV, 3,AbbVie, 2; A. Van der Aa, Galapagos NV, 3,AbbVie, 2; G. van 't Klooster, Galapagos NV, 3,Abboie, 2; C. Tasset, Galapagos NV, 3,AbbVie, 2. Galien R, Harrison P, Brys R, Van der Aa A, van 't Klooster G, Tasset C. 4-Week Treatment of Rheumatoid Arthritis Patients with the JAK1-Selective Inhibitor Filgotinib (GLPG0634) Changes Lipid Profile with a Preferential Increase in HDL [abstract]. Arthritis Rheumatol. 2015; 67 (suppl 10). 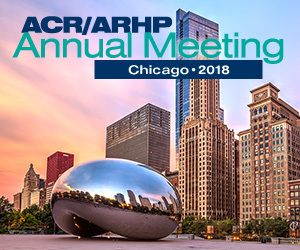 https://acrabstracts.org/abstract/4-week-treatment-of-rheumatoid-arthritis-patients-with-the-jak1-selective-inhibitor-filgotinib-glpg0634-changes-lipid-profile-with-a-preferential-increase-in-hdl/. Accessed April 21, 2019.